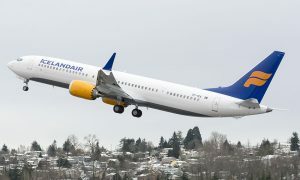 Icelandair will begin a scheduled service from Reykjavik (KEF) to Montreal, Canada in May 2016 with easy connections from all 6 UK airports Icelandair fly from. Montreal will be Icelandair’s 5th gateway in Canada and 16th in North America. Flights will be operated four times weekly until November 2016, on Mondays, Tuesdays, Thursdays and Saturdays. “We believe Montreal fits well with the Icelandair route network and will strengthen our business. We can offer a refreshing and affordable way for tourists and business community between the destination and major European cities”says Birkir Holm Gudnason, CEO of Icelandair. Icelandair destinations in Canada have increased in the last few years, with Edmonton and Vancouver starting last year and complimenting the already established service to Toronto and Halifax. 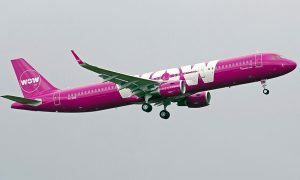 The Montreal flights will connect with all 6 UK Icelandair serviced gateways; London Heathrow and Gatwick, Manchester, Birmingham, Glasgow and newly announced Aberdeen. Montreal is the second largest city in Canada and the largest city in the Quebec province, with around four million inhabitants. The city is the center of business, culture and arts for French-speaking Canadians, and considered more European in comparison to other cities in North America. It is named after the mountain Mt. Royal which is located in the middle of the city. Flights between Iceland and Montreal take about 5 hours. Icelandair has already announced that it will begin year-round flights to Chicago, Illinois and Aberdeen, Scotland from March next year. In 2015, Icelandair has already launched flights to Portland, Oregon and Birmingham, England.